Stacey Abrams addresses supporters at an election watch party on November 6th, 2018, in Atlanta, Georgia. With exactly one year left to prepare for the 2020 Census, Georgia is bringing some star power to the state&apos;s push for an accurate count. 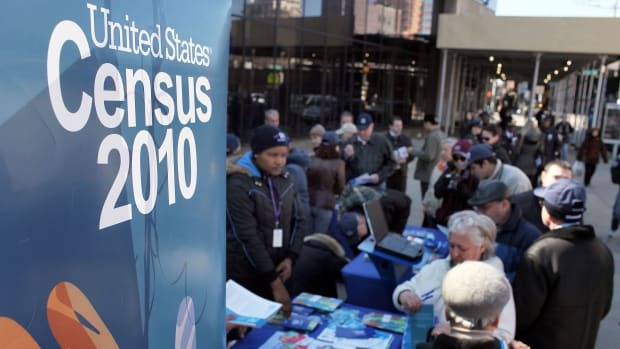 The first week of April marked the one-year countdown to the start of the census, and that&apos;s when most municipalities tend to roll out their complete count committees. Recently, Atlanta Mayor Keisha Lance Bottoms announced the ATL Counts Census 2020 campaign with a boost from Representative John Lewis, the civil rights leader and dean of Georgia politics, who will co-chair the effort. Another star in Georgia politics also declared the census to be a top priority: Stacey Abrams, the former Georgia House minority leader and 2018 gubernatorial candidate. At the end of March, Abrams launched a new non-profit, Fair Count, whose mission is to bolster underrepresented areas and communities before the next census. 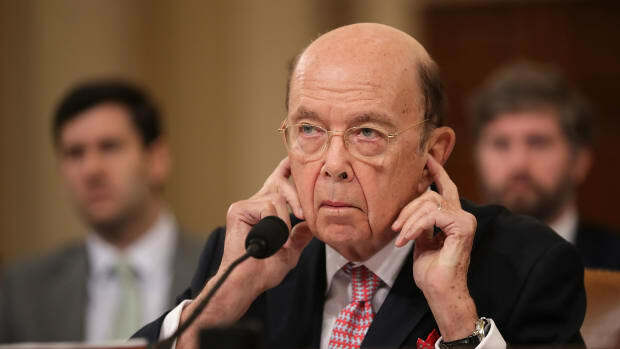 She may be the highest-ranking figure currently trending on presidential speculation markets to take action on the census. No census in recent memory has proven to be the battleground that is already taking shape around the 2020 count. 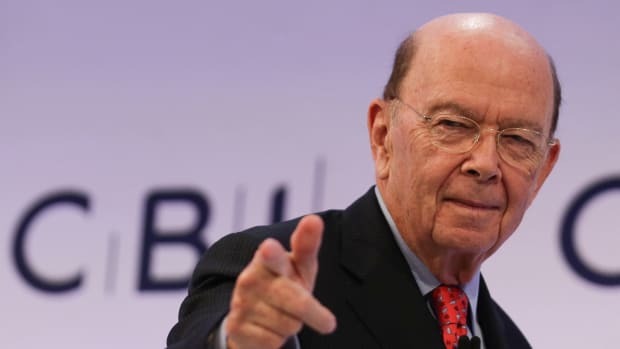 On Friday, a federal judge in Maryland repudiated the Trump administration&apos;s effort to add a citizenship question to the census, the third federal court to do so. The United States Supreme Court is likely to consider this decision in the census case it will hear later this month. 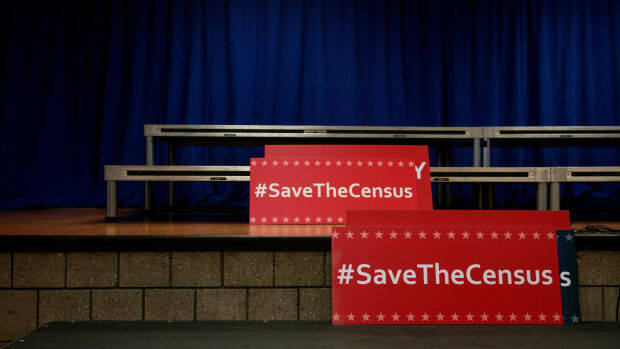 Even absent the legal drama, everything depends on the 2020 Census, since its data will be used to apportion representation in Congress and divvy up some $900 billion in funds. 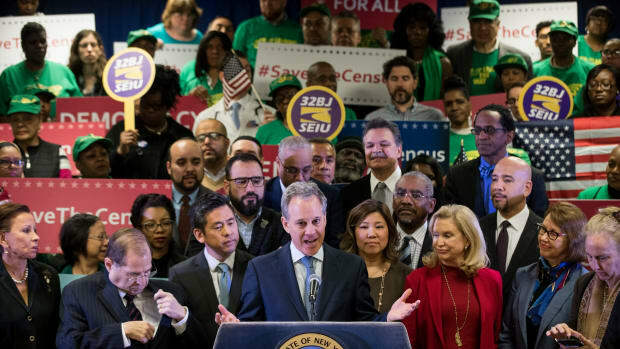 "We are a state that has ranked pretty high, in the past census at least, for undercount in a variety of different populations," says Rebecca DeHart, Fair Count&apos;s chief executive officer and former executive director of the state&apos;s Democratic Party. "We started Fair Count to be able to bring a whole different skill-set to the table in Georgia and to try hard to make sure members of those populations are included and counted." 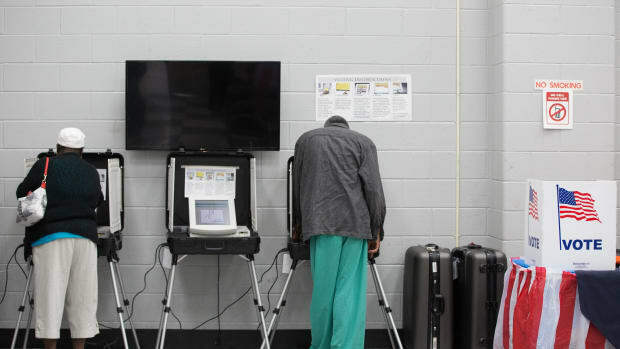 Georgia&apos;s Fair Count drive runs parallel to Fair Fight Action, the non-profit that Abrams founded to challenge state voter roll purges, frozen registration applications, and other obstacles to equal voting seen in the 2018 election. Since the census count determines representation in the House of Representatives, the two campaigns go hand in hand. 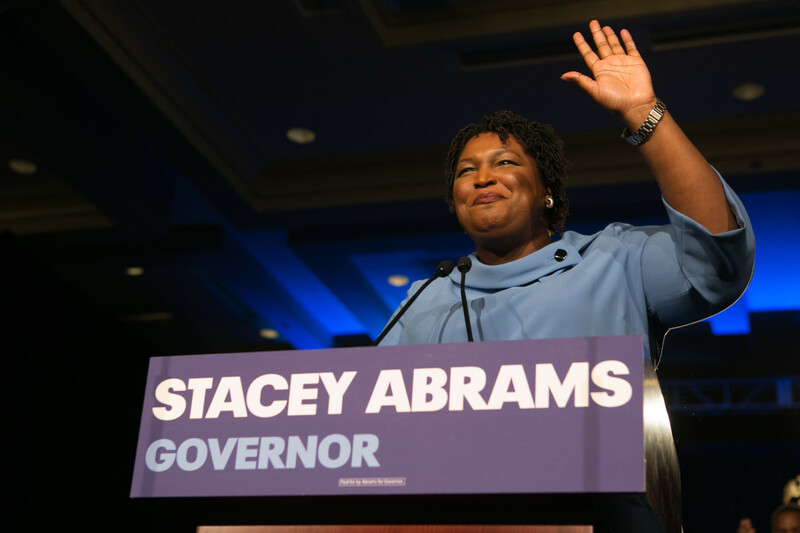 Between Fair Count and Fair Fight, Abrams is leading on process, with a single-minded focus on elevating populations that have been disproportionately unseen by enumerators and unheard at the polls. To that end, Abrams, who could not be reached for this story, tapped DeHart as well as program director Jeanine Abrams McLean, an evolutionary biologist and former Centers for Disease Control and Prevention population researcher (and Stacey Abrams&apos; sister). Their goal is to survey Georgia&apos;s overlapping complete count committees and augment their efforts as a sort of meta statewide resource. Georgia is the eighth most populous state—and the largest state by geography east of the Mississippi River—so it has a lot to lose in the next census. More than 60 percent of the state&apos;s population lives within the Atlanta metro area, yet the state comprises 159 counties, the highest number of any state after Texas. Georgia is home to the south&apos;s Black Mecca, a growing metro area with rapidly rising Asian and Latinx populations, as well as rural counties that suffer from extraordinarily high rates of childhood poverty. Between the potential fallout of the Supreme Court&apos;s decision and the inevitable hiccups involved with taking the census online for the first time ever, fears of a 2020 undercount loom across multiple Georgia populations. The risk, according to DeHart, is that the census will "leave those who have already been left behind left behind even further." In most places, complete count committees operate at the local, county, state, and tribal government level. These volunteer organizations can also be specific to ethnic or racial groups, such as Georgia&apos;s statewide Latinx complete count committee. Before the 2010 count, there were more than 150 different complete count committees operating in Georgia. Fair Count&apos;s plans right now largely involve coordinating between complete count committees in areas where historically hard-to-count populations live. Beyond metro Atlanta, that means rural central and south Georgia. DeHart says that she thinks Fair Count can bring network resources to bear in places where organizations "haven&apos;t had as much stretch in the past." Georgia showcases the full spectrum of census challenges. Nearly one-quarter of its population registers as hard to count, and those residents span an enormous area: According to McLean, more than half of Georgia counties (88 total) will need an extra lift to get an accurate count. And nearly one in five Georgia residents (19 percent) lack reliable access to the Internet. The first digital census will take enumerators into parts of Georgia where residents can&apos;t get a cell phone signal. "One of the things that Fair Count is planning to invest in is bringing the Internet to those who can&apos;t access it," Abram McLean says. "We&apos;re talking about providing hot spots or Internet census cafes—basically bringing the Internet to people." Fair Fight and Fair Count share an overlapping mission, according to the census team. (But not staff: They&apos;re distinct organizations.) Through both efforts, Abrams aims to identify and remove the impediments that prevent historically marginalized communities from participating fully in civic life. In a way, that means performing something of a census around the census: determining which populations will be hardest to count this time around, finding out which committees exist to help them be counted, and then helping those organizations find the resources to fulfill their missions. And finally: making sure those communities remain more visible. "Our goal isn&apos;t to open up shop, make sure everyone is counted, and then shut the door," DeHart says. "If we&apos;re going to be assisting in bringing the Internet to a community, we want to make sure that community fulfills whatever other needs they have too."